Published on December 28, 2009 by Wade Shepard Follow me on Twitter here. I enjoy the stories that often get attributed to the naming of things. There are many things that have a nomenclature that was obviously influenced from a story, a legend, a cultural pattern, or history. They show the connection that people here once had to firearms, they show a portal into times passed. There are many words and phrases that do not make any literal sense, but have a cultural background of usage that gives them context. But often this context has historical roots: it once made sense in a time lost to history. A friend in Sedona told me a story about how a desert bush known as Mormon Tea came to receive its name. But, like so many other pieces of nomenclature based off of historical reference, it is difficult to determine if the explanation of this name is an accurate rendition of its origin or a fanciful story created to act as an impromptu explanation after the fact. The naming of things are not always evident, but the stories are often interesting none the less. The desert plant, Ephedra Sinica, is referred to as Mormon Tea almost without variation in the American Southwest. A tea has been made from this shrub like bushes branches for over 5,000 years in China, and, in the Americas, the native peoples would prepare the plant in a very similar way in order to isolate and drink the chemical, Ephedra, a noted stimulant and thermogenic. It was said that tea made from the Ephedra Sinica plant, which grows in abundance in the Southwestern USA, would be served to the clientele of various brothels prior to being permitted to get their money’s worth. It was said that drinking this tea could make a person less prone to becoming infected with syphilis. 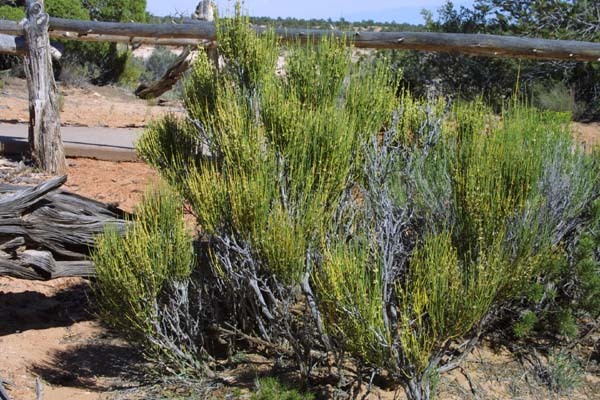 So tea boiled out of Ephedra Sinica became associated with brothels in the American Southwest. The legend behind the name states that in a well noted mining town, a well noted fellow named John Mormon was well known for his rounds and bouts in brothels. As a joke, or perhaps as a disguise, other men in the town began signing into brothels with his name. Soon, everyone that when to a brothel would do so under the ficticious name of John Mormon. Or maybe the tea just received its name because it was first used by Mormons when the Anglos began their westerly migration. There are often many stories, many angles, when it comes to finding out how things got their names.